The Workshops for Restoration and Conservation in the special areas of furniture and sculptures have existed since 1954. "State-acknowledged Professional Academy for Restorers for Furniture and Wooden Objects".. The non-profit Goering Institut e.V. is the supporting organisation of the Professional Academy. Following the principles that apply to the preservation of historical monuments for professional conservation and restoration of historical cultural objects, the training for restorers must convey both comprehensive practical skills and special theoretical knowledge. Apart from providing profound knowledge in the fields of natural sciences, fine arts and special technology, our professional academy further places great importance on providing practical skills right on the object. 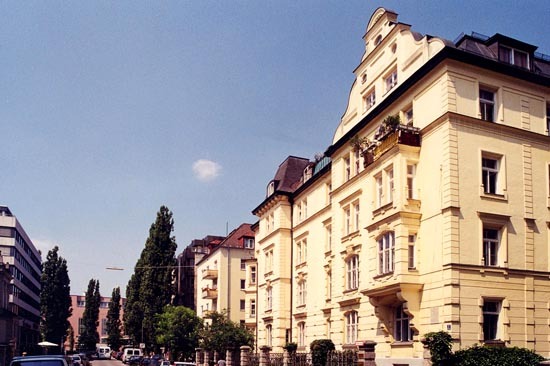 Situated in the centre of Munich in the vicinity of all the major museums and collections, our professional academy resides at the ideal location. The Government of Upper Bavaria and Bavarian State Ministry for Education and Culture serve as competent School Supervising Authorities. All lessons are held in the German language.